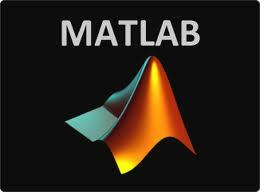 Among the various programming languages, MATLAB is one of the best for industry automation and problem solving. It provides an interactive environment that enables you to easily develop algorithm, visualize data, and also for numerical computation. You can solve technical computing problems quickly and easily. It takes less time than with other traditional programming languages such as the C, C­­++ and FORTRAN etc. MATLAB can be used quite extensively. Some of its applications include signal and image processing, communication, control design, financial modeling and analysis, computational biology, and test and measurement. MATLAB also provides add-on toolboxes which are basically a collection of special purpose functions, which extends special environment to solve problems included in a particular class of applications. MATLAB provides a number of features that help you in documenting and sharing your work. Integration of MATLAB code with other languages and applications is possible and quite simple to perform. You could also distribute MATLAB algorithms and applications easily. · Language that is of high level to perform technical computing. · Tools that are interactive to design and solve problems. Mathematical functions that can be used for linear algebra, statistics, filtering, numerical integration and optimization etc. · Visualization data enabled with 2D and 3D graphics function. · Tools that help to build custom graphical user interfaces. · Integration of MATLAB based algorithms with other languages, applications etc like the C, C++, FORTRAN, JAVA, COM AND Microsoft Excel.